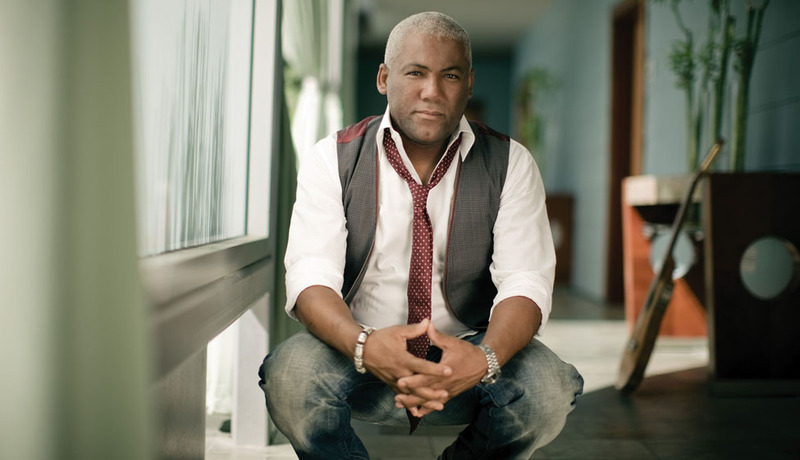 Amidst a new album bursting with hope, joy, romance and inspiration, including eleven songs penned or co-penned by the artist, it’s the Johnny Nash cover “I Can See Clearly Now” that Jonathan Butler elected to record on the So Strong album, his 15th solo collection, that speaks volumes about his outlook after a tumultuous year wrought with immense personal loss, pain and suffering. Butler’s tenacious, indomitable spirit and effervescent view of silver-lined clouds infuses his music like a heaven-sent harbinger of healing. Butler grew up in the townships of South Africa, the youngest of 12 children. He started singing and playing guitar at age seven. Even before he reached age ten, he traveled cross-country performing in villages with a 100-member troupe making money to help support his family. The audiences would vary from poverty-ravaged black townships to opulent halls open only to whites. Traveling accommodations were dismal and atrocious. In his travels, the young entertainer could neither comprehend the extreme destitute nor the harsh treatment he endured and bared witness to under the reign of Apartheid. Afrikaans was his native tongue, but he learned English in his travels. Butler’s albums and worldwide concert tours have afforded him fame and a lifestyle far from what he ever could have imagined as a child performer, but more importantly, it brought him the freedom to follow his passion – music – on his own terms. Residing with his family in the verdant hills of Southern California for more than a decade, an area that he says reminds him of his homeland, Butler remains humble and grateful.